Support staff can leverage BeyondTrust Jump Technology to access a configuration item associated with a ticket directly from the Autotask ticket. Using BeyondTrust's custom links ability, a representative can access the associated ticket directly from within the representative console. 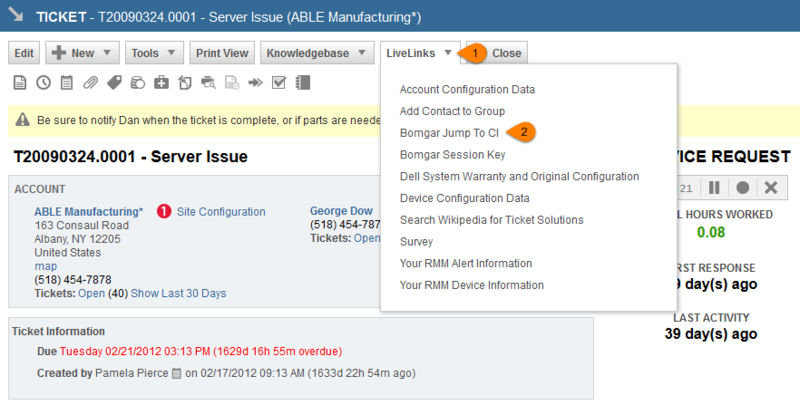 This saves time searching for the ticket in Autotask and provides the representative with any issue details, history, or other context to help quickly resolve the issue. If desired, a time entry can be created and added to the associated ticket once a session ends. The time entry uses the same start and end time as the actual session for accurate time tracking, as well as associating it with the primary representative from the session. 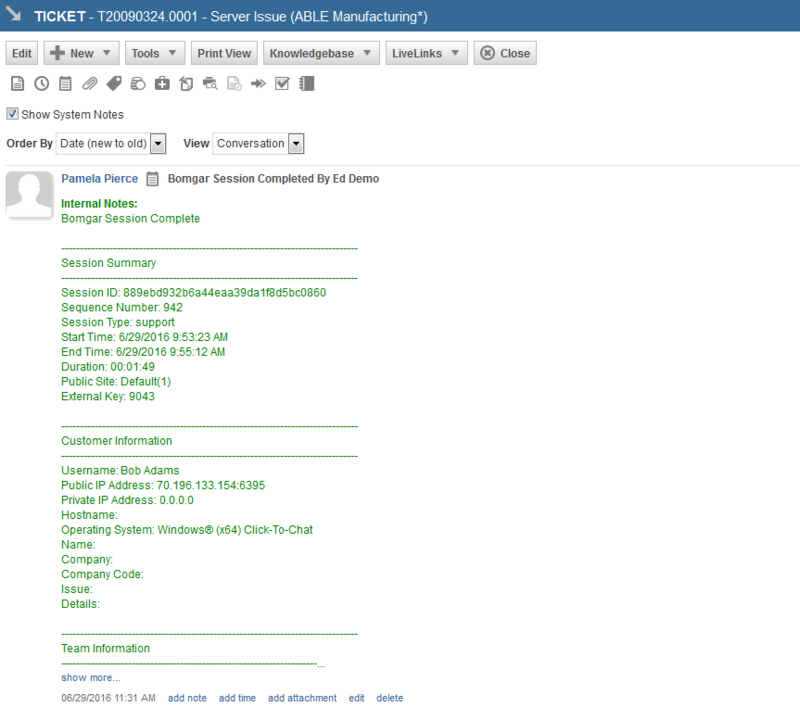 The automatic ticket creation feature does require a services engagement to implement for each customer. However, the fact that this functionality is even possible without a large custom development effort can be of great benefit to simplifying workflows and reducing the number of clicks necessary for a support representative.